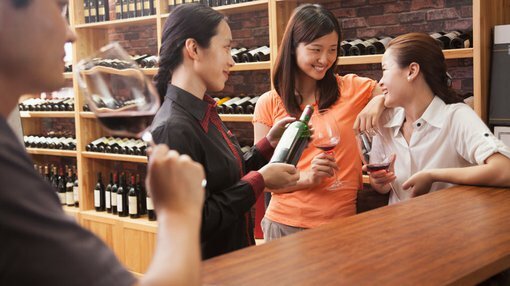 Dawine (ASX: DW8), a distributor of wine to the burgeoning Chinese market, has negotiated two important logistics agreements for parcel delivery within that country. These have facilitated nationwide coverage, effectively expanding DW8’s addressable market. In a country that sets the bar high in terms of efficiencies of distribution the fact that delivery of orders can now be executed in some areas on a four hour turnaround basis is extremely important. The agreements have been struck with SF Express and Deppon, and will involve the delivery of parcels to all major regions within China from its warehouse in Shanghai. SF is China’s largest express delivery company with a market capitalisation of over US$30 billion. It should be noted that DW8 is an early stage company and investors should seek professional financial advice if considering this stock for their portfolio. The group has extended its services to all of mainland China with more than 13,000 service points and approximately 15,000 operating vehicles. Deppon also has an impressive profile with over 10,000 standardised retail stores across the country covering 34 province level administrative regions of China with transfer centres totalling 1.3 million square metres. Lewis highlighted the fact that the company’s systems for procurement, international freight forwarding, importation, warehousing, licensing, payment platforms and parcel delivery were all functioning well, and de-risking key aspects of the end to end process was a crucial factor as the group concentrates on launching the Dawine portal to the half a billion middle-class consumers in China.